WINDHOEK – Namibia’s top middleweight Walter “The Executioner” Kautondokwa will now face Tanzania’s Jacob Maganga for his non-title comeback fight April 20. Kautondokwa was originally scheduled to face South Africa’s France Ramabolu, but Ramabolu withdrew from the bout only a few days ago. Kautondokwa-Maganga will be featured on “The Legacy Part 2,” a boxing bonanza slated for the Windhoek Country Club. 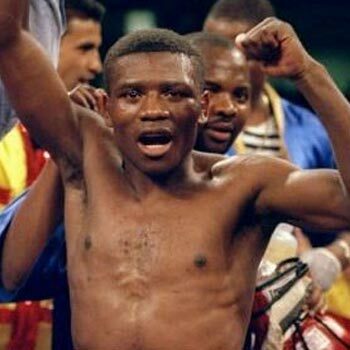 Maganga’s record is 12-9-5 (8 KOs) while Kautondokwa is 17-1 (16 KOs). Jeremiah “Low Key” Nakathila will feature in the main bout of “The Legacy Part 2.” Tickets are available at Computicket outlets countrywide for N$200 for standard tickets and N$10 000 for VIP tables.